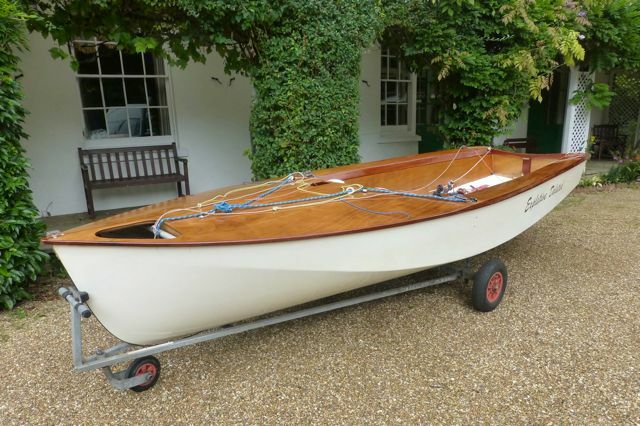 September 2015: I enjoyed chatting with [John Claridge at the boat show] yesterday about new and old Seafly dinghies. My restoration of Seafly 654 is almost done and she should be ready for the water when the weather relents. I attach a few photos. I would like to be involved in any reformed Seafly Class Association. September 2014: I have enjoyed your excellent Seafly memories website. I was also surprised and delighted to see one of the new “Cflys” at the Southampton Boat Show. I has a long chat with John Claridge about it. 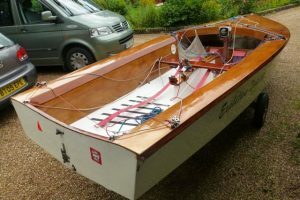 I have Seafly 654 “Expletive Deleted” in my garage undergoing restoration. It should be on the water next season. 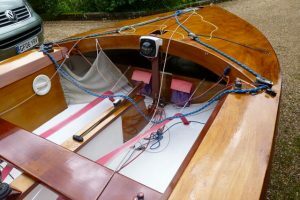 I sail with Crawley Mariners YC and Lancing SC. Note: We believe that this was the last of the Seaflys built by C.M. Marine and registered with the SDCA. 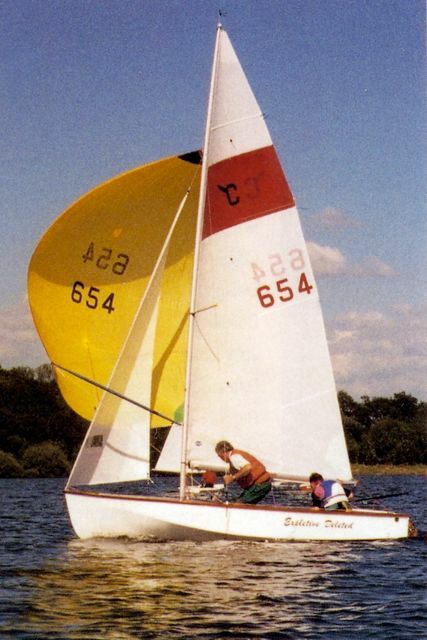 In 1996 the boat was owned by Mark and Mike Appleby of Bough Beech Sailing Club and Crawley Mariners Yacht Club. The first photograph below appeared in the Dinghy and Dayboat Directory published by Opus Books in 1997 (reproduced by permission).